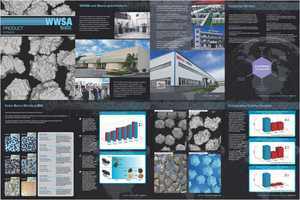 BOYNTON BEACH, FL--(Marketwire - Nov 1, 2012) - Worldwide Superabrasives, LLC (WWSA), a global leader in the manufacturing and distribution of industrial diamond and Cubic Boron Nitride (CBN) products, is proud to announce the launch of a new Product Catalog. If you'd like to be added to WWSA's mailing list, please email info@worldwidesa.com or call 888-410-1631. Also, the new catalog can be viewed at www.worldwidesa.com. Please take some time to browse -- we look forward to your feedback! We appreciate our customer's ideas and we owe 8 years of success to you. Worldwide Superabrasives, LLC (WWSA) is a global leader in the manufacture of superabrasives serving over 125 customers in 15 countries around the world. With over 150 years of combined experience in the superabrasives and electroless coating industries, WWSA works closely with customers to establish their superabrasive requirements, resulting in our customers receiving the most suitable products for their respective applications. Worldwide Superabrasives, LLC (WWSA), a global leader in the manufacturing and distribution of industrial diamond and Cubic Boron Nitride (CBN) products, is proud to announce the launch of a new Product Catalog.